It’s almost Easter, and Easter is almost Raster, so here my friends, are a collection of Raster Eggs we made just for you. 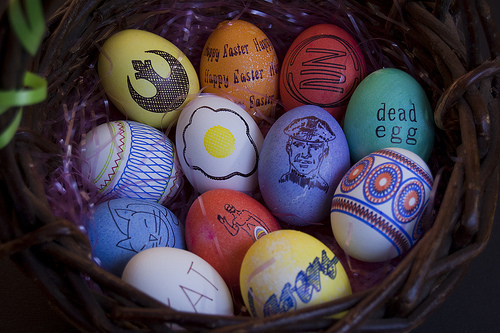 This collection features such favorites as “Egg Egg”, “Rebel Alliance”, “Z2″, “dead egg”, “Sleeping Cat”, “Officer Egg”, “Pioneer Plaque”, “Lasers” and more! But wait! 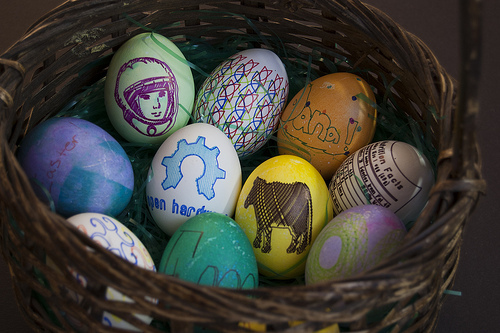 You also get such favorites as “Yuri’s Night Egg”, “Open Hardware”, “Nutrition Facts”, “Cow”, “Emma” and more! Posted on Tuesday, April 19th, 2011 at 5:00 am. Subscribe to the comments feed. Both comments and pings are currently closed. Post on your own blog.